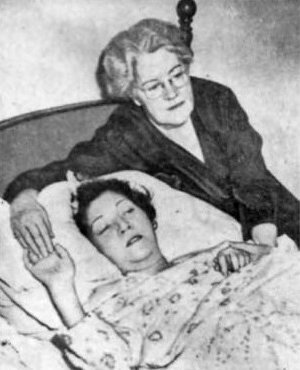 Olive's funeral was held at the mission and Sister Essie Binkley West gave the eulogy. 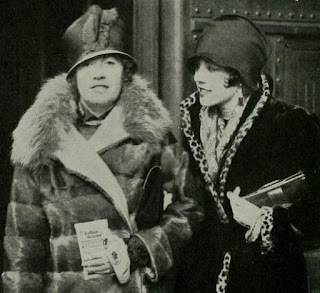 Her former costar Cornelius Keefe and director John Boland were the only Hollywood friends who attended. Her mother Sibbie said "Ollie died among the people who really loved her and idealized her. 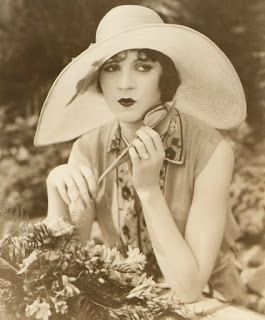 She was happy". 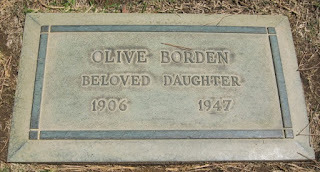 Olive was buried at Forest Lawn Memorial Park in Glendale, California. 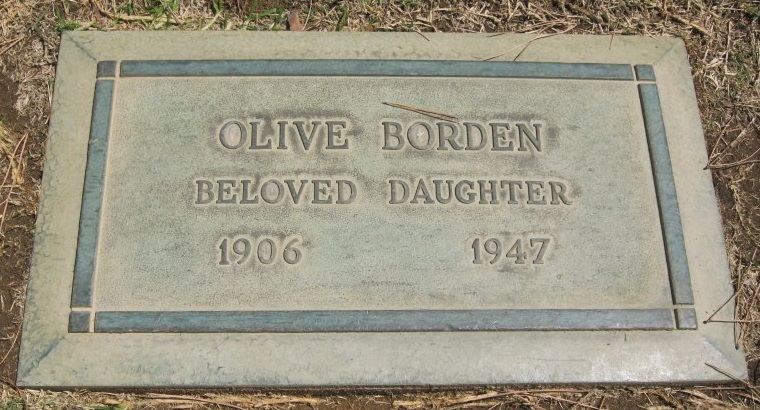 The epitaph on her grave reads ' Olive Borden Beloved Daughter 1906-1947". 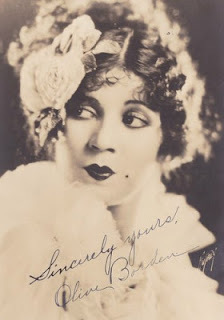 When Sibbie Borden passed away in 1959 she was buried next to her daughter. 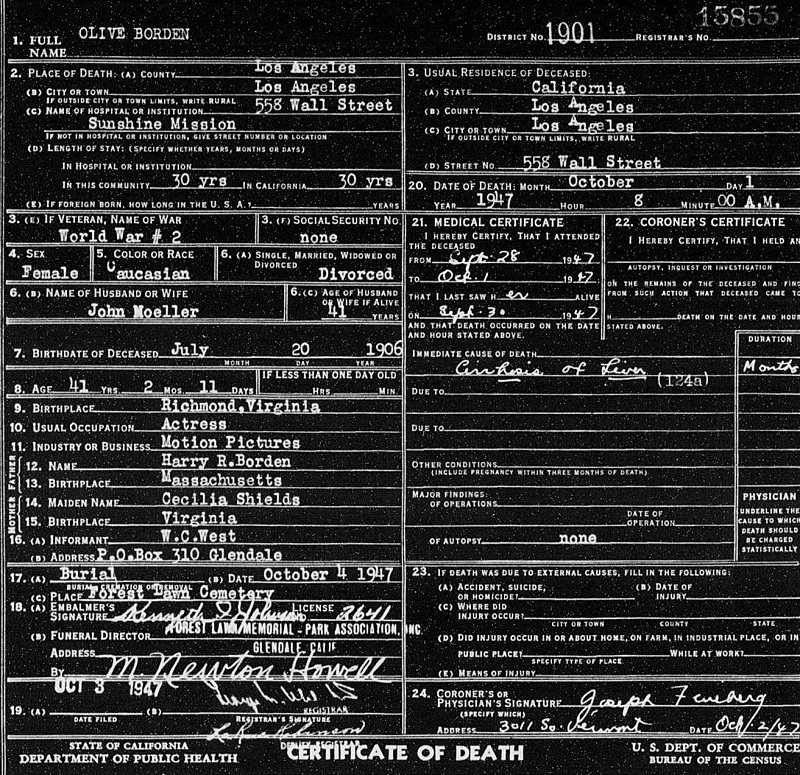 Their graves can be found in the middle of the Liberty section. 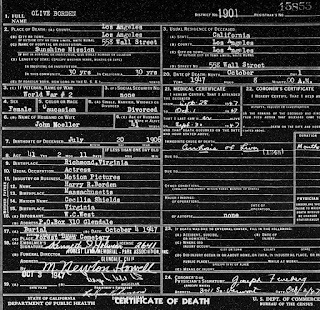 Forest Lawn is located at 1712 South Glendale Avenue.